As a longtime fan of all things piratical, I could scarcely have been more excited for Steinbrenner Drama’s production of The Pirates of Penzance. While the play itself proved to be a bit rough around the edges as far as songs and structure are concerned, theatre director Lindsay Painter and the rest of her stunning cast pushed their way to greatness by the force of their sheer talent. Here we have an able-bodied pirate crew, masterful in both combat and seafaring, crippled by something more or less out of their control: a slow and awkward ship. The swashbuckling story follows the struggles of young pirate Frederic as he leaves the infamous Pirates of Penzance after coming of age. Frederic goes ashore to experience life on land, and immediately falls in love with Mabel (portrayed by junior Natalie Foster, whose vocal performance was, in a word, stupefyingly good), daughter of the renowned Major-General Stanley (senior CJ Obediente). Unfortunately, Frederic’s strong sense of “duty” compels him to return to the pirates when he figures out that he was born in leap year and thus must wait another 63 years before he can leave the crew and be with Mabel. 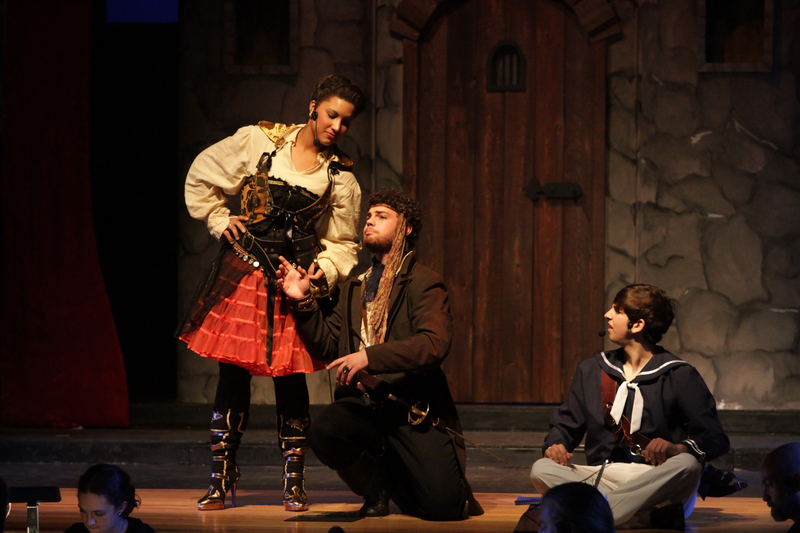 The school has a considerable amount of talent in its drama program, and Painter could hardly have done a better job of casting; each role seems to be perfectly filled, and it’s tough to find even one hole in the lineup of leads. Senior Louis Lage plays Frederic, and while Lage acts his character better than all of the other leads, he doesn’t give as much of a vocal knockout as pirate maid Ruth (senior Alex Guzman) or the lionhearted Pirate King (a charismatic portrayal by senior Daniel Davis). The crew of pirates and troupe of dainty daughters were also a joy to watch, although in contrast to these two ensembles Act II’s policemen seemed like a necessary evil. With such a stellar performance, the whole production’s only weakness seemed to be the show itself. While lyrically very literate, a majority of the songs were simply unmemorable, especially in the second act. This, of course, excepts “I Am the Very Model of a Modern Major-General,” a hilarious and highly literate tune sung at breakneck pace by Obediente (if you didn’t see the show, or maybe even if you did, look up the lyrics to understand just what I mean). The finale, too, felt like it’d been shoved into far too small a space. But regardless of how one feels about the work of Gilbert and Sullivan (who penned the show), there’s no denying that The Pirates of Penzance is delightfully performed, produced, and choreographed. Even if it’s not as lasting as past productions like Cabaret, the show brings with it all the hijinks and heroism of a pirate’s travels. You guys all did a terrific job! Wonderful acting, singing, and just everything. I absolutely can’t wait to come see the next play. I’m really looking forward to something even better than this one which is hard to pull of, because this one was so good. Great job guys. I can’t wait to see the next one! Man, now I really wish I saw this play. 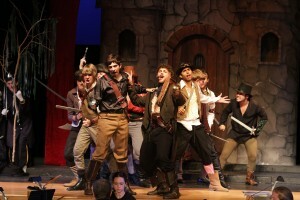 The drama department did a wonderful job with Pirates. The entire cast sang wonderfully. It was clear a lot of thought and energy was dedicated to the show.